The First Couple is getting ready for a trip to Europe. 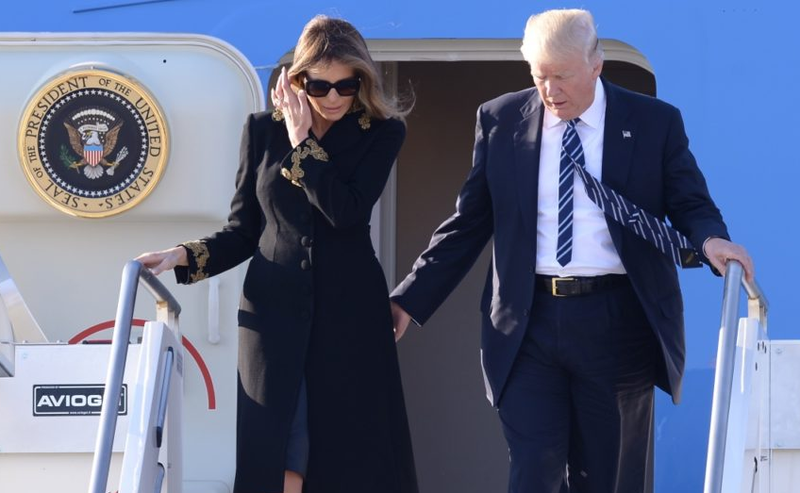 President Donald Trump and First Lady Melania Trump will spend two days in Brussels for a NATO summit and several bilateral meetings with other world leaders, half a day in London for a visit that will be filled with protests, three days in Scotland for what is mostly a private vacation and a day in Helsinki (Finland) where Mr Trump will have a meeting with Russian President Vladimir Putin. After his arrival and welcoming by the Belgian government on Tuesday, President Donald Trump will be meeting with NATO Secretary-General Mr Jens Stoltenberg before several meetings with the 28 NATO allies on Wednesday. The U.S. ambassador to NATO, Ms Kay Bailey Hutchison: "Our major areas of deterrence would be Russia and the malign activities of Russia, the efforts of Russia to divide our democratic nation, INF Treaty violations." Many European heads of state fear that Mr Trump will also want to make sure they are upping their defense spending, something he pointed out to them last time he was in Brussels as well. The UK visit is a delayed one which is highly important for the British government desperately in need of a trade agreement with the US as the Brexit deadline looms. However, it is flushed with scandal after London Mayor Mr Sadiq Khan allowed a giant blimp depicting Mr Trump as a baby to be flown over the capital as well as several protests to be organized during the visit. Furthermore, Mr Giuliani stated that the great number of Americans visiting London each year will be put off by this action. The First Couple then heads off to Aberdeen, Scotland for what is mostly seen as a private vacation and some rounds of golf. The last round of Mr Trump’s trip takes him to Helsinki, Finland, where he will have a long-awaited meeting with Russian President Vladimir Putin.